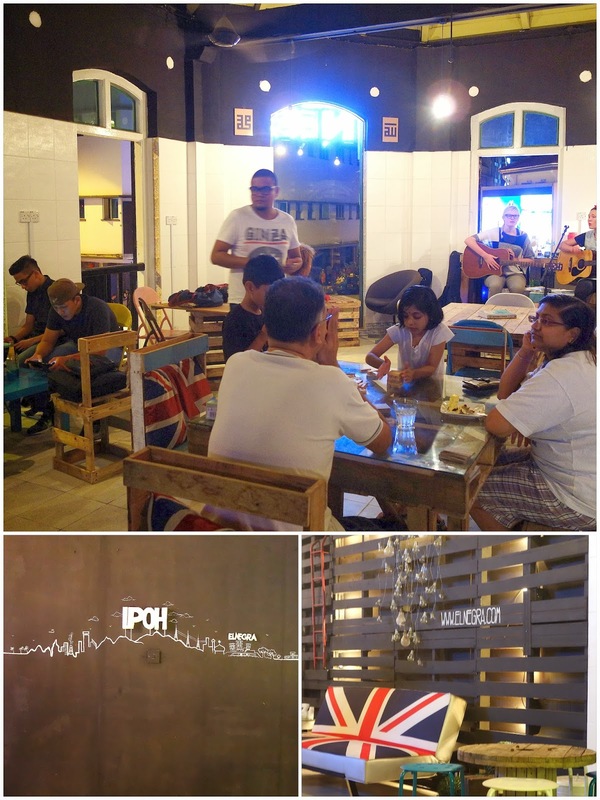 Who says the sleepy city of Ipoh can't sustain the semblance of a cultural nightlife? El Negra Distro, recently launched in Ipoh's Old Town neighbourhood, is determined to prove otherwise. El Negra rises only a few hours before sunset & stays open till midnight, enabling indie musicians to find their late-hours groove in casual, improvised performances that feel like an initiative to bring busking indoors. 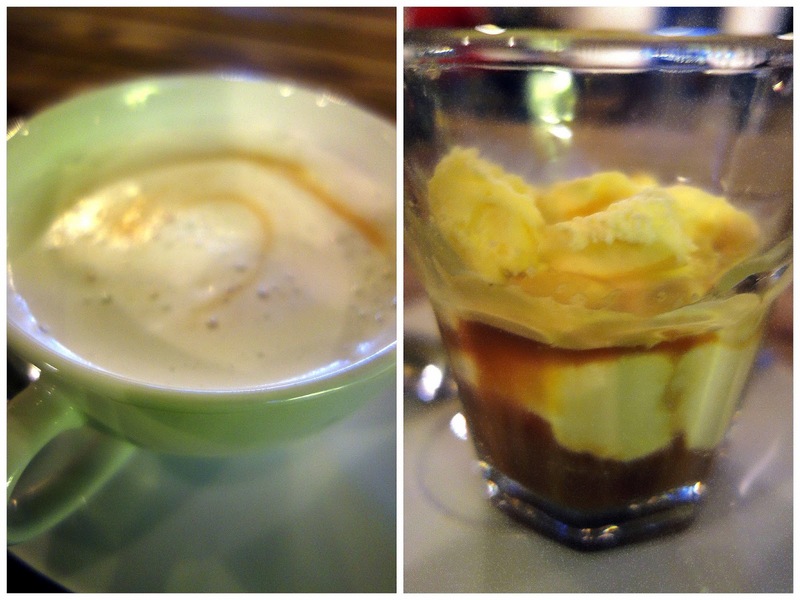 Battle drowsiness with coffee: unfortunately, the latte is too weak & bland to recommend (truth be told, it's terrible), while the affogato could benefit from softer ice cream. El Negra considers itself a 'distro,' a cross between a deli & a bistro; the menu's a mishmash of chicken-&-egg sandwiches, bread-&-butter puddings, roast chicken, meatball spaghetti & tiramisu. Service can be a mixed bag; there are several friendly staff members here, but a few behind the counter are smiles-free and bored-looking. Still, this venue is blessed with potential; the first-floor, shop-house ambiance is winsome. With some fine-tuning of everything else, El Negra could someday become an Ipoh success story. Note to subscribers on Gmail: The newsletter will likely be placed in the Promotions folder of your inbox. Ooooo...live entertainment. I'd like that! Some interesting things happening in Ipoh! I love the colours and menu lettering. Someone is very artistic! This place looks interesting, especially their chairs! 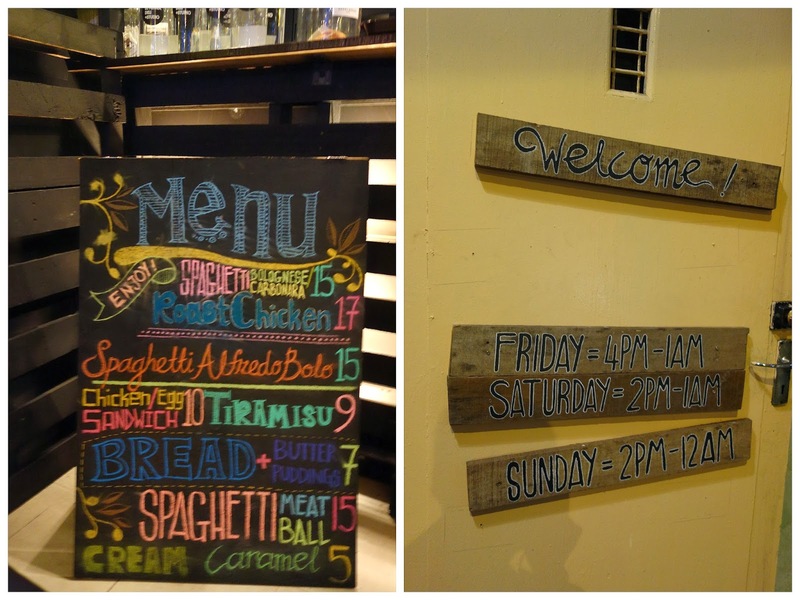 Wow so many new cafes sprouting out in Ipoh too! definitely the place to 'let your hair down' after a hard days work! !